Sigh. This is meant to be a book blog isn’t it? It sure doesn’t seem like it these days, with maybe just a review here, another there. Book blogs = book reviews, right? I have all these draft posts half completed, a whole lot of books I read never get written about. And it’s such a pity, as some of them are fantastic reads. Maybe writing one of these less rambling (but still rambling) posts about the various books I’m dipping into once a week will help. 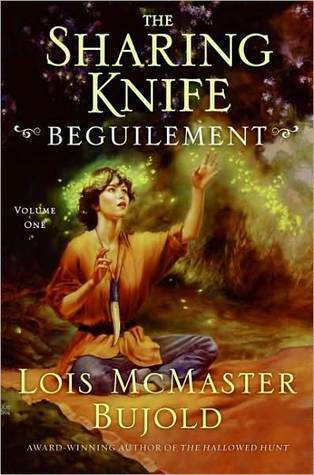 Let’s start with the book I just finished last night – Beguilement by Lois McMaster Bujold. This one I owe to Eva, who has written an excellent review of the Sharing Knife Quartet (of which Beguilement is the first book) right here, Please go check out her post for a far more in-depth look into the series. Plus I really agree with much of what she says. I was a bit hesitant when the book opens with the petite Fawn running away from home, heading to the city on her own. Then there was Dag, tall, very manly. I wondered what I was getting into. Was this going to be a weak-female-saved-by-the-manly-man type of story? But wow, Bujold really just made everything work. She is a fantastic storyteller, weaving humour and fantasy and even a little feminism into her book. I wouldn’t say I devoured the book in a day but I’m a pretty fast reader and instead wanted to take my time with it. 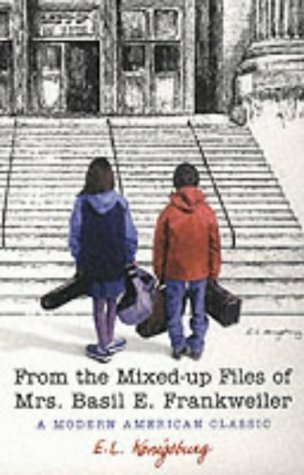 Another one I had recently read was From the Mixed-Up Files of Mrs. Basil E. Frankweiler by E.L. Konisburg. My first ever Konisburg! I would have loved reading this as a kid. As an adult, I quite appreciated it too, especially Mrs Basil E. Frankweiler herself. I was wondering how a child today would see this book! Automats and typewriters. Living in a museum without being discovered. Well, when my kids get a little older, I’m definitely going to get them this book! We’ll have a great time reading it together, I’m sure. My free trial of Scribd is expiring next month so I’ve been exploring their non-comic book options, trying to figure out whether I want to actually subscribe each month to their service. Their tablet app (I read it on my Google Nexus) is pretty decent and it’s been fun browsing through their selections and seeing what else is available. This was one of their recommendations for me, according to some of the other books I’ve glanced at or saved for later. And good thing too, as it’s been on my TBR list for quite a while. There were plenty of things working for me with this book. 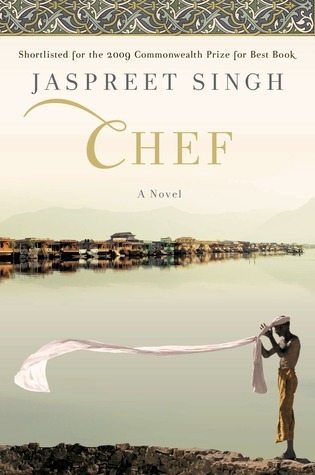 That part of it was set in the Kashmir, on a train, and in a kitchen of a military commandant. It’s a quiet sort of contemplative book. It does take us to some heavy territory, it is a book about Kashmir after all, that highly disputed territory fought over by Pakistan and India for more than 50 years. The kitchen. Scent of cumin, ajwain and cardamom. On the table, a little pile of nutmeg. Thick, oily vapor rose from the pot on the stove. The room was warm and spacious, the window high and wide. Tiny drops of condensation covered the top of the glass. Smoke soared towards the ceiling in shafts of light. I noticed many shiny pots and pans hanging on whitewashed walls. And string of lal mirchi, and idli makers, and thalis, and conical molds of kulfi. In the corner the tandoor was ready, its orange glow stirred in the utensils on the walls. 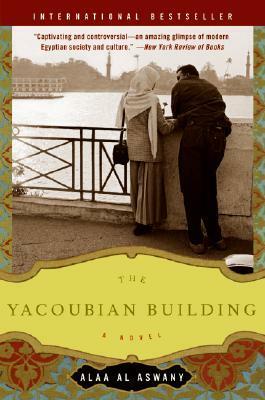 So it was Danticat’s name that drew me to this one. Plus the fact that I really ought to read more non-fiction. 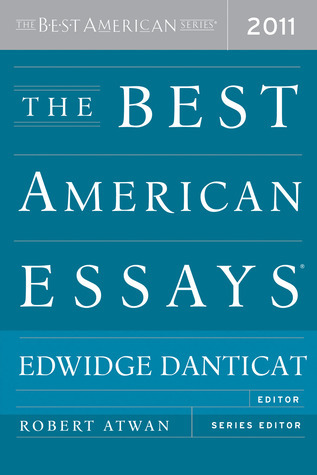 What better than a collection of essays. I’ve only read the first three so far but the one that has moved me the most is by Katy Butler, What Broke My Father’s Heart, from the New York Times Magazine and also available online here. She talked about her aging father’s pacemaker and how it prolonged his life – in what wasn’t a good way. It was heartbreaking and emotional but also discussed something that I never thought of as a bad thing. Not that I’ve really thought of pacemakers, no one I know has had one put in, but I guess it always seemed like it would help rather than hinder. Ok, hinder is not the word, but I guess Butler was talking about dying a graceful death, one where you are lucid and understanding, rather than one that has been delayed for too long because a pacemaker has kept your heart going while your mind and the rest of your body have been meant to go long ago. Erm, well, just read the essay if you’re interested. I probably don’t make much sense. Haven’t touched this one so far this week. Will I get back to it? We will see! I don’t think I’ve mentioned this book yet but I’ve been dipping into it over the past month and it’s interesting and nostalgic. 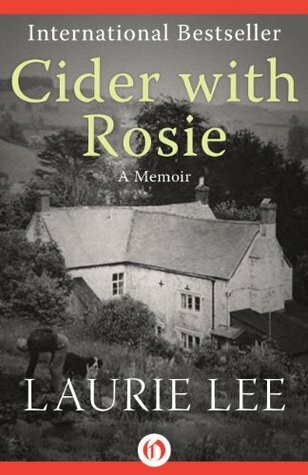 It’s a collection of memories of life in a remote Cotswold village just after the WWI. It really ought to be read on a red-checkered picnic mat set on a lush green field under a blue sky. And on an actual physical book. But I’ve got it on the Kindle by my bedside. I’m saving the graphic novels and comics for a separate post. And that’s a ridiculously long and long-overdue one too. ← Previous Post It’s Monday and… what? It’s June already? I don’t think a book blog means lots of book reviews. I love reading about what people are reading, or the books they’ve added to their TBRs, or anything bookish! From the Mixed-Up Files of Mrs. Basil E. Frankweiler was one of my faves as a kid. I reread it last year and was so happy to find it stood the test of time! That is true. I often find that the blog posts I enjoy the most from others tend to be this kind of ‘reading notes’ type thing. You’ve been plenty busy reading! I know the dilemma, though. I have so many thoughts and reviews in my head, but sometimes it seems that stopping to get them down gets in the way of more reading. Exactly. I guess that’s why mini reviews kind of work. I mean, I do want to make a note about a book, as I want to be able to remember at least something about it!! I read this novel when I was a kid, but I really don’t remember it. It’s been fun to experience it with my kids.